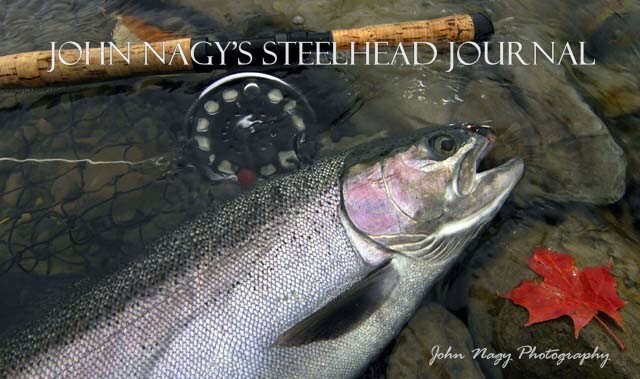 The following is a selection of Steelheader's Tips taken from John Nagy's book: Steelhead Guide, Fly Fishing Techniques and Strategies for Lake Erie Steelhead. -When using a floating indicator it is often necessary to "fine tune" the drift of the fly depending on the water conditions (flow, clarity, depth and temperature). This is accomplished by adjusting the amount of split-shot used, split-shot to fly distance, floating indicator to fly distance, tippet size and floating indicator size. These slight changes can keep your fly drifting naturally (at or just above the stream bottom) resulting in more steelhead hook-ups. -Mid-day is the best time to fish for lethargic winter steelhead because the water temperatures are usually the warmest at this time. -When dead-drifting flies, use your fly rod's length to your advantage by lifting as much line and leader as possible off the water. 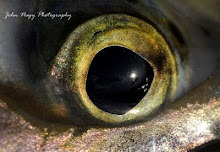 Mend, reach out and follow the drift with the tip of your fly rod. -When you locate a good concentration of steelhead, your better off not leaving it to find "better" water. Usually, you will never find it that day. -Reading the surface water (by looking for changes in the water surface texture) will help you locate subsurface current breaks and potential steelhead holding areas in stained tributary flows. -A much heavier tippet can be used when swinging a fly since the steelhead will normally only see the fly on the downstream swing. 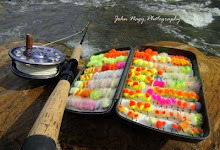 More Steelheader's Tips can be found in John Nagy’s book “Steelhead Guide, Fly Fishing Techniques and Strategies for Lake Erie Steelhead”.